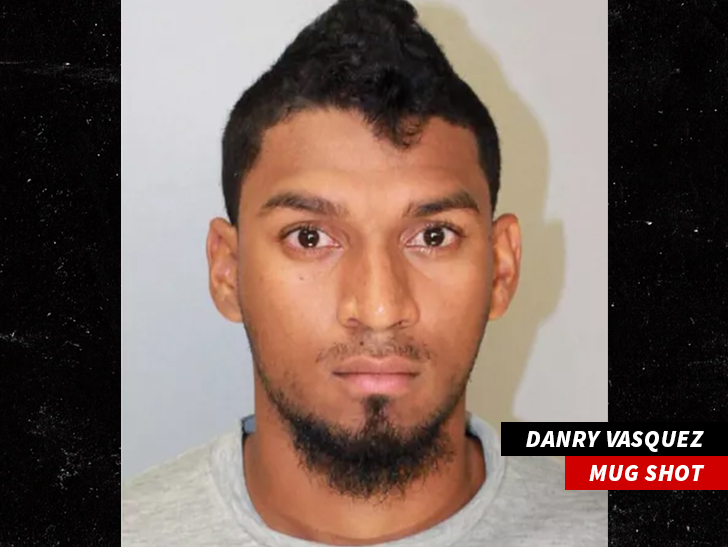 A professional baseball team in Pennsylvania has cut outfielder Danry Vasquez after a 2016 video surfaced showing him beating the hell out of his girlfriend IN A STADIUM. Vasquez was arrested for domestic violence in Texas back in August 2016 -- and despite the fact officials had the video showing him backhanding the woman in the face and continuing to beat her while dragging her down a stairwell ... he basically got off with a slap on the wrist. FYI, at the time of the incident, Vasquez was playing for the Corpus Christi Hooks -- the AA minor league affiliate of the Houston Astros. The team released him days after the incident. Nueces County District Attorney Mark Gonzalez tells TMZ Sports the victim did NOT want to cooperate with prosecutors and wanted the case dropped. Prosecutors WANTED to press but felt it was an uphill battle with the victim not wanting to press charges. Ultimately, Vasquez was ordered to complete anger management courses ... and that's basically it. Gonzalez says Vasquez has now completed the terms of his probation and the case was formally dismissed on March 6th. "At that point, probation checked with us, and he had done everything we asked him to do so I was forced to dismiss the case," said Gonzalez told KRIS 6 News. Vasquez went on to sign a contract with the Lancaster Barnstormers of the Atlantic League of Professional Baseball. They have now released Vasquez in the wake of the video being released ... saying, "Upon being made aware of the nature of the incident, the Barnstormers made a prompt decision to cut ties with the 24-year old." Manager Ross Peeples added, "There is no choice but to sever the relationship. Neither I, nor the Barnstormers' organization as a whole, can condone or associate with that behavior." The Atlantic League of Pro Baseball is not affiliated with MLB -- but very high-profile players have competed in the league including Rickey Henderson and Roger Clemens.